When you're our size, they usually try to stick some kind of cutesy label on you. You know, something like "boutique." Well, we don't sell flowers or hand creams here at KAOS. Although we could help you do that, if you're so inclined. 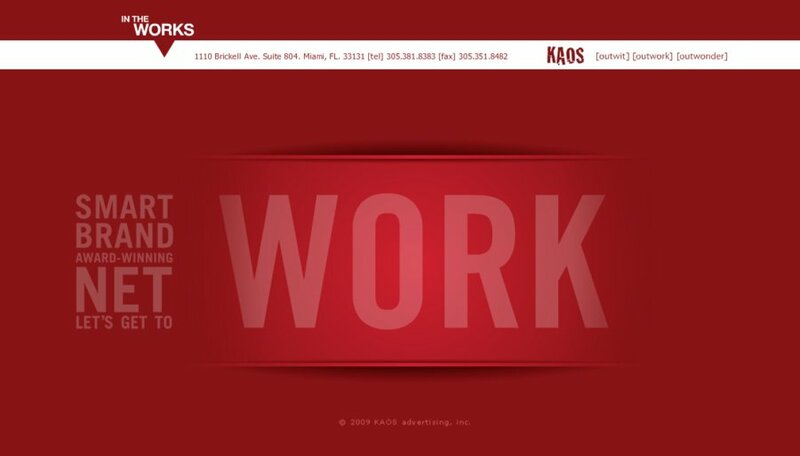 Headquartered in Miami, KAOS is an award-winning branding and advertising boutique that helps companies of all shapes and sizes define their culture and build their brands with a decidedly non-traditional approach. We believe that simplicity sells. Creative applies to more than just work. And partners are always better than clients. But enough about us. What's your story?